For many of us dog lovers, taking a humans-only vacation can be bittersweet. If you are like me you have probably experienced the same mixed emotions before and during a trip. There is of course the excitement of taking time from work and daily life, the anticipation of the fun that awaits at your destination, the wanderlust that drives you to explore other parts of the nation and the world. But there is also the worry about leaving your beloved dogs in the hands of someone other than you, no matter how reliable they are. There are also those moments during the actual vacation when I miss my black Labradors so very much that I start to jump at the chance to pet any other dog that I see. Since we typically vacation at Walt Disney World I am limited to service dogs who are working and off limits for socializing or fuzzy characters like Dug and Pluto. This year we finally made it to visit the Southeastern Guide Dogs facility in Palmetto, Florida. This incredible not-for-profit organization trains guide dogs and pairs them with visually impaired people to give them greater self sufficiency. They breed, raise and train Labrador Retrievers, Golden Retrievers and a mix of both breeds referred to as a “goldador.” According to their website, www.guidedogs.org they have matched 2,800 guide dog teams since their inception and currently have 400 guide dog/human partnerships active right now. Southeastern Guide Dogs offers three great activities for visitors: Walk a Dog, Hug a Puppy and their campus tour. I tried to schedule our family for all three but because they are so popular I was unable to do so but I was able to snag us a reservation for the Walk a Dog activity. We arrived at the Southeastern Guide Dog center a few minutes before our scheduled walking time and signed in with the volunteers. A nice man gave us an overview of the rules for dog walking, including the commands that we were allowed to give to our dog, the designated dog walking area, how to use the Easy Walk harnesses that they use at this point in their training and other information. We have actually used the Easy Walk harness for several years for both Jackson and Tinkerbell so my husband and I were already familiar with the use. The volunteers explained that the dogs who we would walk were going through their guide dog training and that the Walk a Dog activity helped the dogs continue the socialization that they learned during puppyhood. Our volunteering would help continue to teach them that there are a variety of people in different shapes, sizes, and appearances in the world. We could use “sit” and “no” and were welcome to stop and sit with them to pet them during our walk. Any other commands would interfere with their specific guide dog training commands. The volunteers explained that our own dogs are trained to follow their human while guide dogs are trained to lead the human. As a result the commands are dramatically different. I volunteered for the first dog who they brought out to be walked, a beautiful and friendly female Labrador who was such a light yellow that she was nearly white. We set off on our walk through the beautiful Florida spring morning and she sniffed her way along the brick path that was lined with plants and trees, her thick otter-like tail wagging joyfully. She was happy to be out of her kennel and out for a walk and I was so happy to be around a dog again that I had to force myself not to overwhelm her with affection. After all, it had been an entire week since I saw my own Labradors. I could see my family members walking their assigned dogs on other parts of the path, and sometimes we would pass each other, always human to human to give the dogs as much distance between each other as possible. I found an unoccupied bench along the path and sat down to pet her. As soon as I sat down she jumped and put her front paws on the bench next to me, her tongue lolling out of her mouth in a typical Labrador smile and her tail wagging furiously. We sat for awhile and I scratched under her chin, petted her chest and shoulders, scratched the spot on her back right above her tail and rubbed her ears before setting off on our walk again. My legs and shorts were covered with yellow fur and all was right in the world. My walking buddy and I returned to the volunteer area a few minutes before the designated end time so that we could spend some more time playing and sharing affection. A volunteer offered a bucket of brushes and I gave her a quick brushing. My family members began to arrive with their dogs and one by one we said goodbye to our walking partners and shared stories of our dogs with each other, what they were like, what their names were and how much fun we had had. On our way out we stopped in the gift shop and purchased shirts, a backpack and other items since the proceeds of the shop also go to benefit the organization and the charity. I have a note on my calendar to schedule our next trip to Southeastern Guide Dogs two months in advance so that we can participate in the puppy hugging and campus tour as well as another dog walk. If I lived near there I would probably be there every day; in fact I pointed out a new subdivision being built across the street as we were leaving. Perhaps I will suggest it again on a day after my husband has shoveled snow from our driveway after a large snow storm but for now we will just visit each time we travel to Florida. If you are near the Palmetto, Florida area I highly suggest you stop by and participate in these great volunteer activities that let you donate your time to a good cause and get in your dog fix while on vacation. Check out the Southeastern Guide Dogs website to schedule your visit, shop online, donate or to simply read more: http://www.guidedogs.org/. 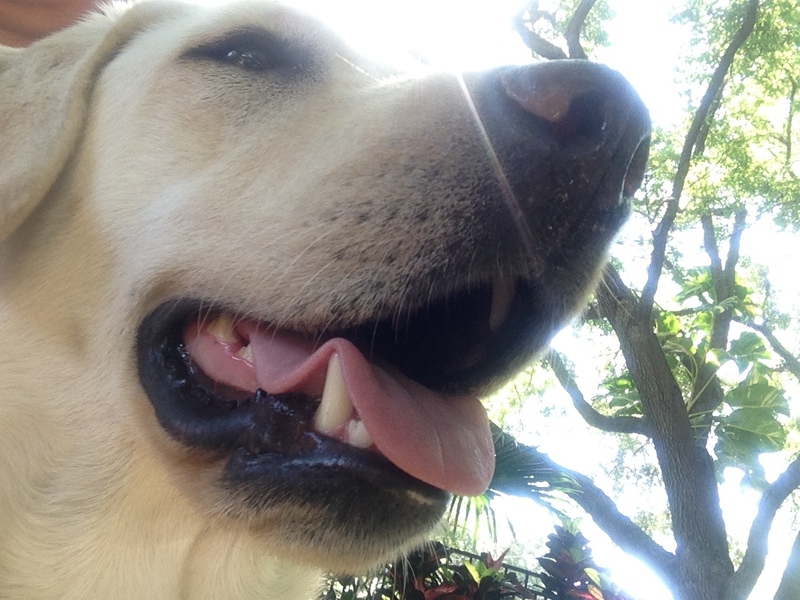 Update: Since this post was written, Southeastern Guide Dogs has changed the activities that they offer. See their website for information and click on Activities. hi lynn. stef here from the meeting last night. GREAT article and now following you. do stop by my blog and say hi, so nice to meet you.